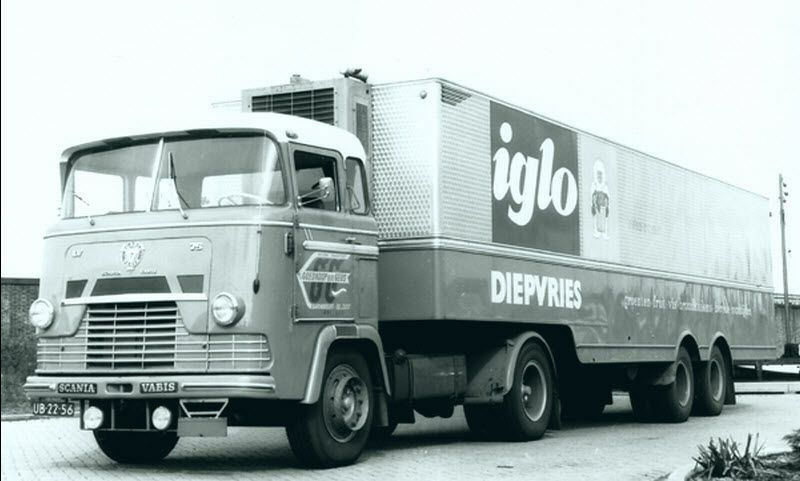 In 1951 Volvo introduced their new and largest truck model at that point in time, the L395 Titan-series. From 1953 onwards it was powered by Volvo’s D96 diesel engine, a 9.6 liter inline-six with a maximum power output of 152 DIN-hp. 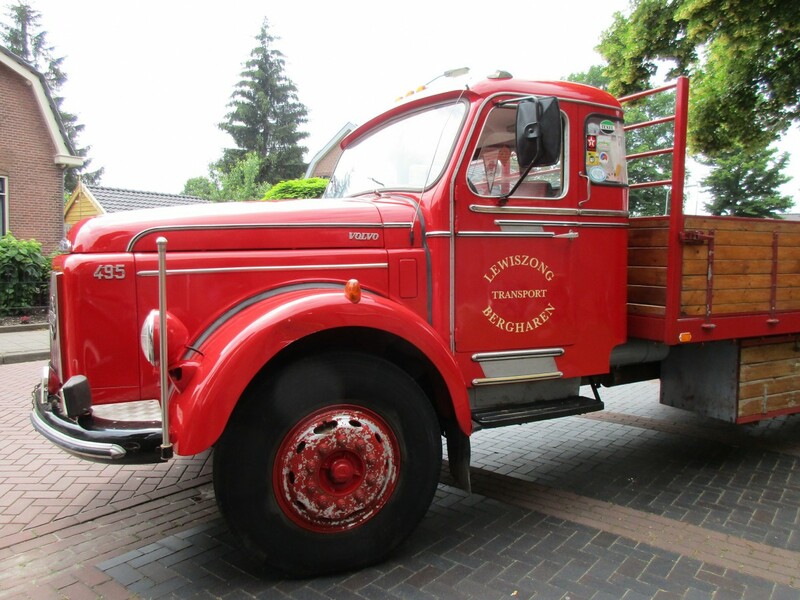 The turbocharged TD96 engine (188 DIN-hp) became available in 1954, it was the truck maker’s first turbodiesel. In Europe, Volvo and DAF were the leading truck-turbodiesel initiators. An updated Titan, the L495, was introduced in 1959. 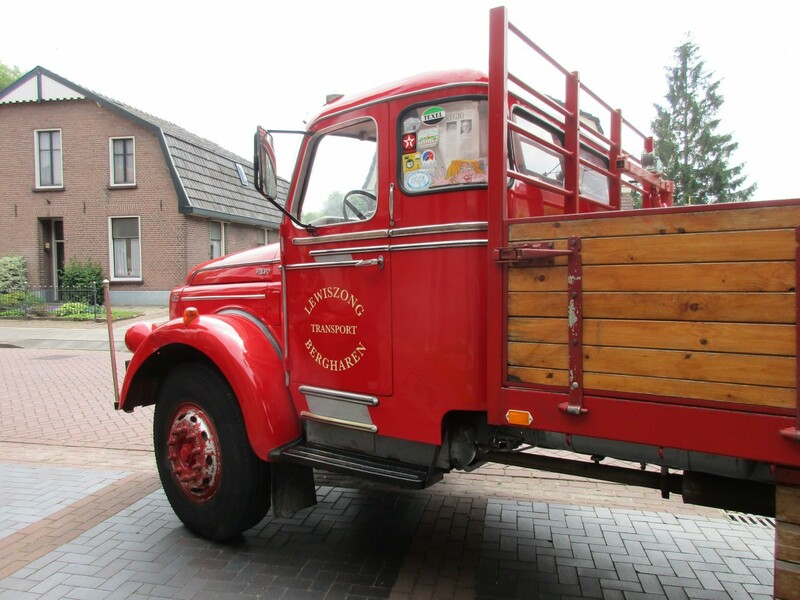 The 1964 L495 I caught has a Vogelzang truck bed with dropsides. The Volvo is rated at a maximum GVM of 15,175 kg (33,455 lbs). Both the dropsides and the stakes are easily detachable, if necessary. Many small hooks are welded underneath the bed’s frame, all along its sides, the rear included; back then loads were always secured with ropes, not with the readily straps as we know them now. The hooks were also used for securing a tarp. There’s a small hoist aboard the truck. 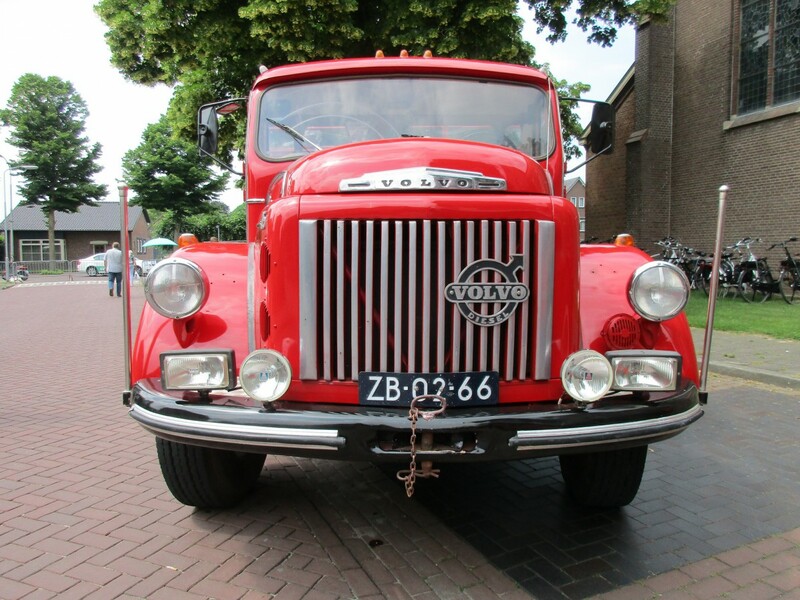 Dutch coachbuilder Hondebrink made this truck’s cab. 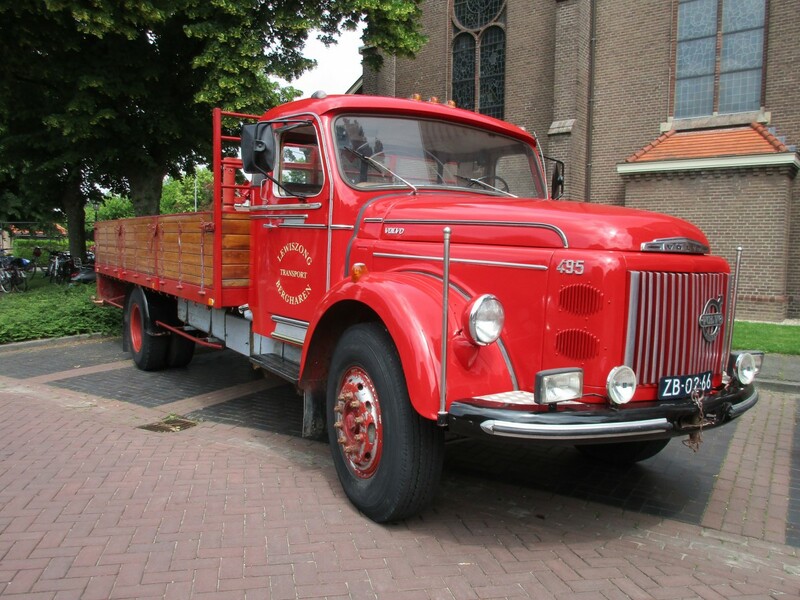 In those days it was still quite common that a domestic coachbuilder fabricated an all-steel truck cab. Some other cab builders were BeGe, Paul & Van Weelde and Van Eck. The Titan really is a traditional conventional, isn’t it? 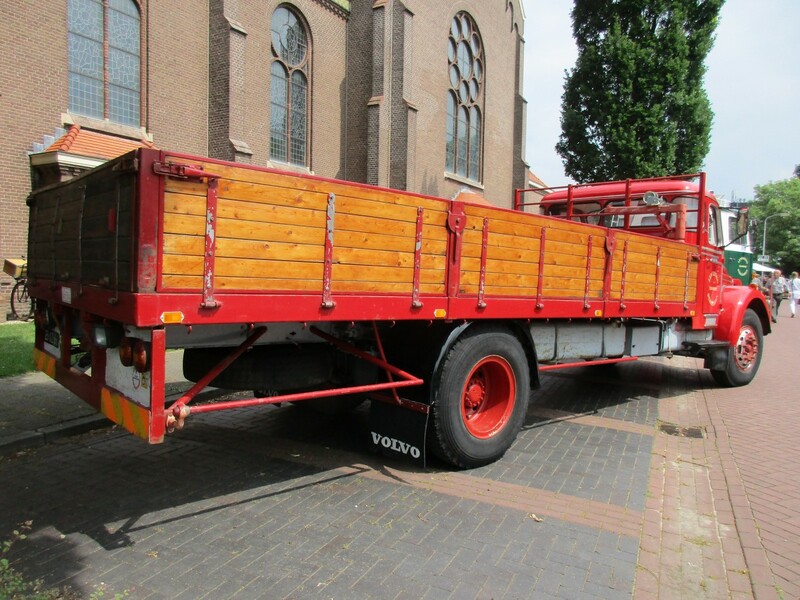 This model lasted till 1973, by then it was known as the Volvo N88. It was superseded by the square-lined and modern Volvo N7/N10/N12. It seems that Volvo itself only made their trucks as cowl-and-chassis. The Old Car Manual project has a 1945 company magazine (in English!) that sets out their postwar offerings, and all the trucks are depicted in chassis-cowl form…scroll down a bit. I guess like cars, that often look similar, trucks often look similar. With this and it’s “N” series successor, these Volvos evoke (at least for me) their Mack contemporaries. That said, even though the U.S. is synonymous with the biggest…anything, I don’t think I have ever seen an American truck that looked this long. In this country, something this long would be a tractor and trailer combination. As you can see the truck has a trailer coupling. 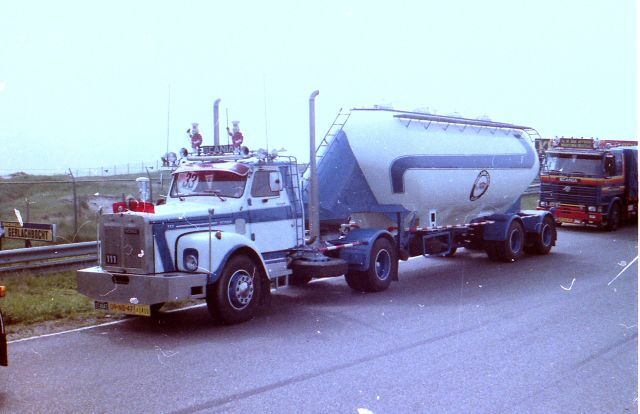 It was (and is) very common that a truck like this towed a drawbar trailer. 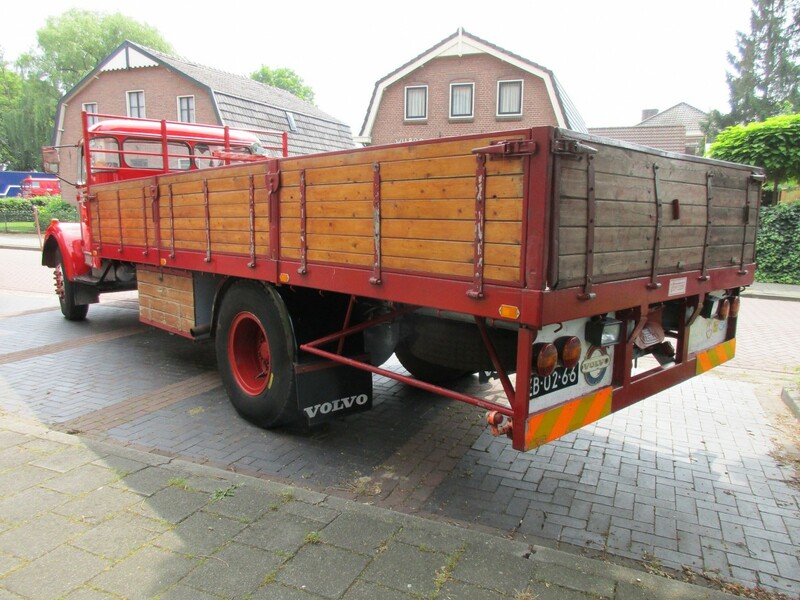 Prime example below, a Volvo Titan 4×2 flatbed truck with dropsides, ditto set-up for the trailer. Note the day cab, whereas the article’s Volvo has a sleeper cab. Gimme, gimme. I love the curved corner windows at the back of the cab. They remind me of my 1952 Chevrolet 3600 pickup. Very beautiful truck. These are the kinds of big trucks I remember from my childhood in Austria, as they slowly hauled their loads over the old Brenner Pass road, holding up traffic behind them. Why do people always want to ‘improve’ their classic truck, no N series ever had a chrome grille, painted cream on a red cab was more common and 2 round foglights on the bumper, but most likely these had a lightbar with 2 or 4 lights under the bumper. Truckers seem to lose it finalizing an otherwise perfect restoration. Volvo’s big, big rival was Scania Vabis 76 and later more powerfull 110 Super series. Tilt cab, hughe service intervals, accessable engine bay which partly allowed to roll the engine out, to keep standstill to a minimum. Remember the late seventies and the eighties? Say the post- Smokey and the Bandit / Convoy / Holland Duck -decade. Excellent representative of that specific period below. Honestly, this article’s Volvo is as clean as a whistle! What a beautiful truck! 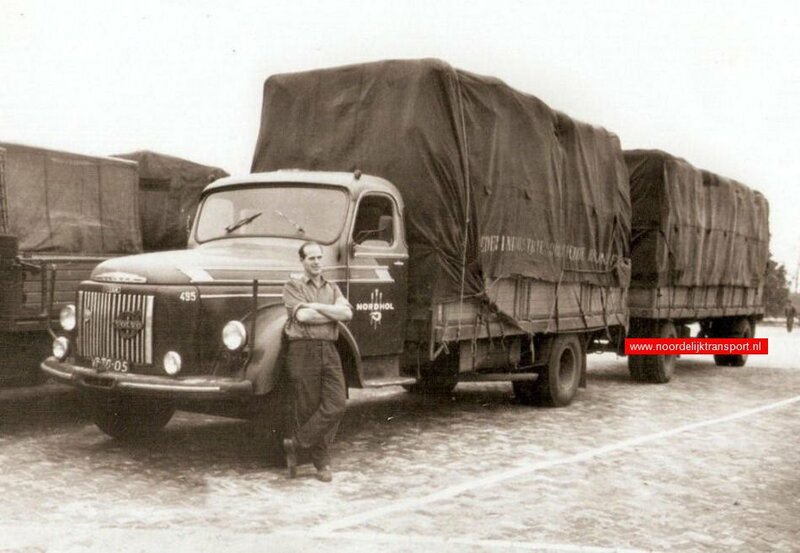 I confess complete ignorance of Volvo trucks other than the fairly recent ones seen here in the States. Johannes, you describe the cab as being Dutch-built. How about the design, and/or were all of the parts made by the coach builder? Certainly the style of the hood, if not the actual part, looks very evocative of a Volvo 444/544 car. 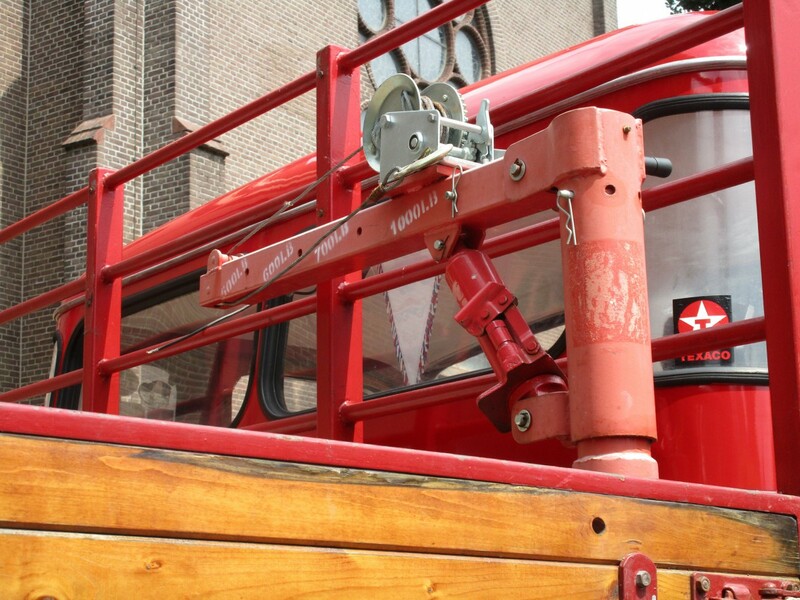 Dutch coachbuilders designed and built all kinds of cabs. 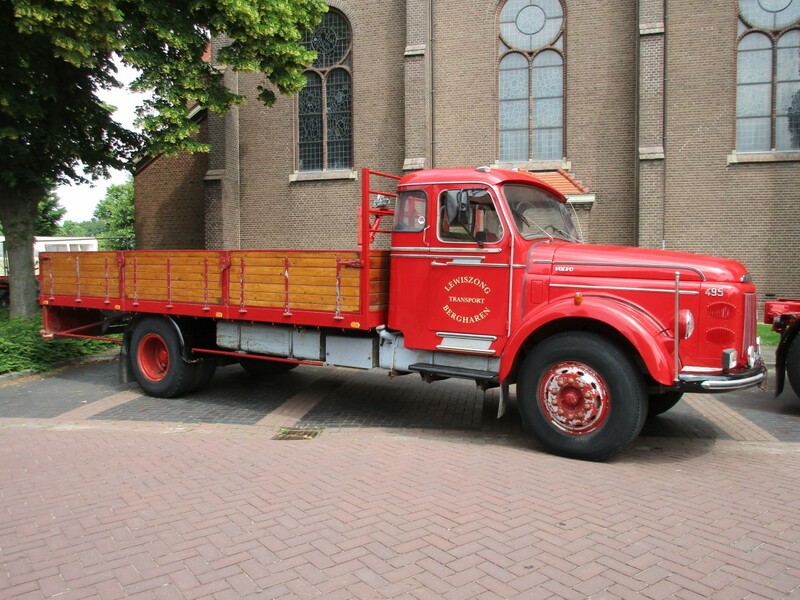 One of my favourites below, a Scania Vabis cabover with a Roset cab. Following up the above (editing not working again??) I see from nlpnt’s post that Volvo provided the trucks with chassis and cowl, so that would explain the Volvo-style hood. Gorgeous truck, looks just right even with chrome ? That’s a beauty – kudos to the owner for taking such good care of the wood bed, am sure that’s not an easy job.